Eno River Women’s RFC welcomes a wide variety of players and social members to its ranks. No matter your age, athletic ability, rugby experience, or body type, there is a place for you on our team. The current team is an amalgam of seasoned veterans—”old girls” in rugby speak—and newbies who are looking to learn a new sport. 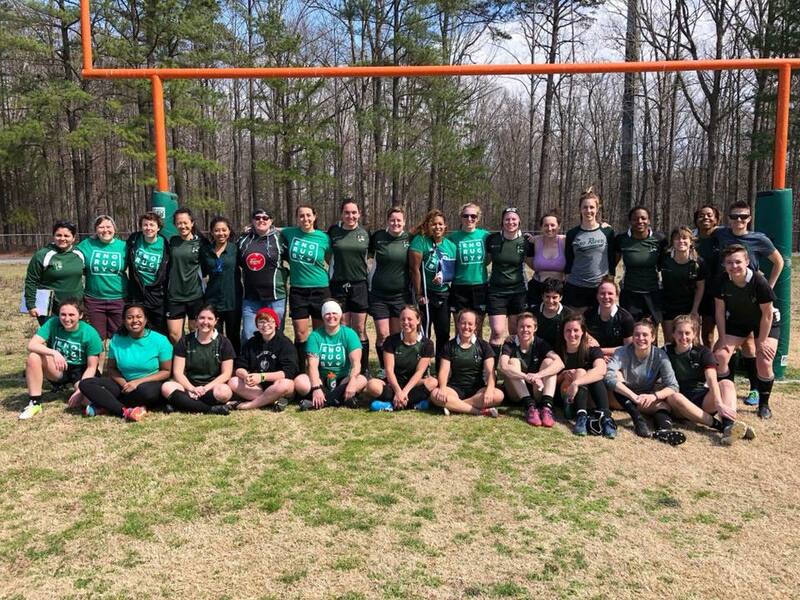 Eno River Women’s RFC rages on and off the pitch year-round, and we are always excited to recruit new players from the Durham area. We play 15s in fall and spring and mix it up with 7s in the summer. What you need to know about us: we’re out to work hard and have fun. Join us! We can’t wait to welcome you back to the fold, Glitter Girl!